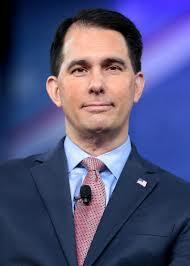 Wisconsin Governor Scott Walker recently announced the federal government approved his Health Care Stability Plan. Walker applied for the plan in April using the 1332 Waiver for State Innovation Application under the Affordable Care Act. According to a release from the Governor’s Office, the plan provides $200 million in reinsurance funding to cover costs in Wisconsin’s individual market. The funding is expected to lower premium rates in the state’s individual insurance market by 3.5% in 2019. Earlier this year, the State Legislature approved the plan following Governor Walker’s original proposal in the 2018 State of the State Address. According to Representative Mary Felzkowski (R – Irma), had the legislature not approved the plan, premium rates in 2019 could have been 11% higher than they will under the plan. Walker and state Republicans consider the announcement a victory heading into their fall campaigns before the general election in November.